From flex days to open floor plans to standing desks, employers are creating more comfortable, healthy, and collaborative spaces to work. After all, it is where we spend most of our time. 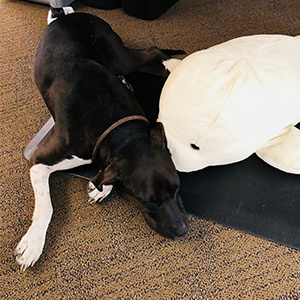 While ergonomic desks have proven health benefits, can we say the same about dog-friendly offices? Sure, there’s plenty of tail wagging and belly rubbing to go around, but it begs the question: do us humans reap any professional benefits? The answer is yes, with a few caveats. Dogs can be a lot of work, at work (think: bathroom breaks, barking, and the occasional ‘accident’). But according to a published study¹, those who bring their dogs to work see a significant decrease in stress throughout the day. 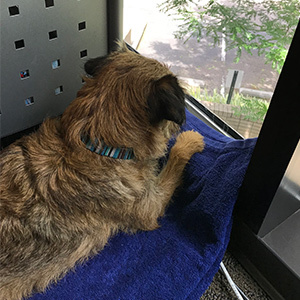 So whether you work in a dog-friendly office or are considering a move to one, here are 7 reasons why bringing your dog to work is, actually, a good thing (most of the time). It’s tough to be in a bad mood when a dog runs up to you looking for love. Taking a quick break from emails to play can make a stressful day better. A pet policy can be a big selling point to prospective hires. It’s an added benefit for current employees, too — they love that they don’t have to leave their “fur baby” home alone. Say you’re on your way to the kitchen and spot your co-workers’ pup lookin’ all adorable. Odds are you’ll walk over for a pet and end up chatting with someone you may not normally. If you’re an HR manager looking to build camaraderie and team spirit, establishing a pet-friendly policy can be a great idea. 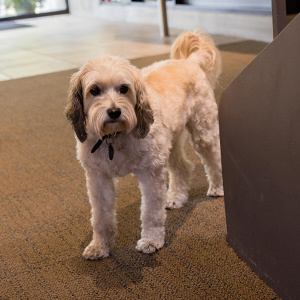 According to a study by the Spring Arbor University, pet-friendly company’s score higher in employee morale. According to dogtopia, dogs benefit from socializing, too. Our personal favorite? They have more opportunities to find — and exercise with — their BFFF (best furry friend forever). The moral of the story? 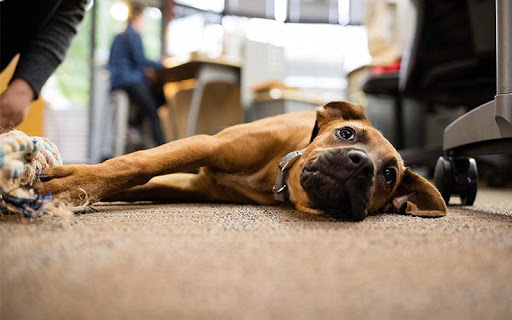 A dog-friendly office can be beneficial. But it’s a privilege, not a right. Not only do owners need to manage their dog’s behavior, but they need to be attuned to their colleagues’ needs, too. If someone is uncomfortable or allergic, it’s important to accommodate them before the dogs. It’s also the owner’s responsibility to act quickly if their pet causes a disruption. Timing may not always be convenient, but it comes with the territory. Will Busby A graduate of Full Sail University, Will is a certified Google partner for mobile, search, display, and video. A fan of Eric Ries and Seth Godin, he’s spent his career working for big companies and smaller start-ups focusing on higher education, affiliate marketing, radio, and live entertainment. When he isn’t creating compelling search campaigns, you can find him listening to The Grateful Dead while harassing his cat Winston Thelonious Monk a.k.a. @winniewoowoo.